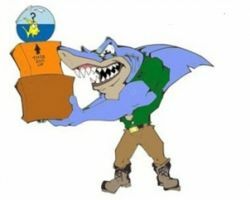 Great White Moving is not one of those faceless nationwide moving services but rather a local company that provides personalized care. Whether you are moving into your dream home or need to relocate your office, these professionals are there to help you and at relatively cheap prices. Their great rates are what draw customers in but they become loyal clients when they see the movers and packers in action. The stress that this company will take out of moving is well worth their already low rates. Midnight Hour Moving is a local moving company that offers three promises: respect for the individual, service to their customers and to strive for excellence. 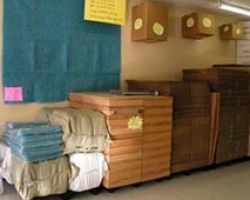 They do this by getting the job done in a timely and orderly way that makes any move you may be going through much less stressful. As Fort Worth movers, this company can move your home or business across town or across Texas. Knowing how to get even the most precious items, like a piano, to a new location safely makes this company the best in the business. Hiring moving companies in Fort Worth, TX means trusting someone else with the safety of your things in the time between leaving an old home and getting settled into a new one. Atlas Garrett Transportation Services has a flawless track record and raving reviews so they are known as the best movers and packers. With a modern fleet of vehicles and professional movers that have years of experience, you can rely on this team to get your things to their new home safely and efficiently. You may have a few items when you move your home that needs extra care. Whether that is antique furniture or valuable jewelry, it is hard to find a specialized company that you can trust. That is not the case when it comes to moving your piano. 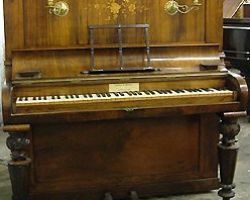 McMurry Moving Company is dedicated completely to the careful and successful moving of pianos. Whether you are putting the instrument into storage for a few weeks, are taking it with you on a residential or commercial move, this company will take the very best care of it. 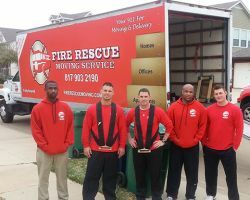 Fire Rescue Moving and Delivery is a company that has been in business for the last five years. This company is unique in the industry in that it is comprised of off duty firemen. These guys are used to heavy lifting and are putting their skills to good use as apartment and house movers. These professionals have worked as a team for years and in many different environments, which makes them even more capable of tackling your moving job for affordable prices.